Our system makes use of the latest in industrial wireless and predictive-adaptive technologies to bridge long distances. We use a reliable industrial grade mesh network to control our IIoT sensor and devices, providing a system-wide approach to HVAC energy efficiency. 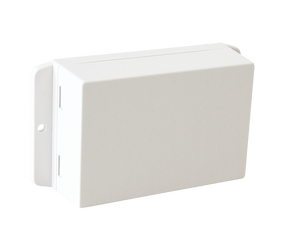 DESCRIPTION: Our Wireless Retrofit Thermostat Control (WRTC) transforms a building’s existing set of independent thermostats into a networked array of IIoT sensors and smart temperature control units that can operate based on a system wide energy saving algorithm. DESCRIPTION: A customized programmable digital thermostat, allowing it to connect wirelessly over long distances to the SHM Controller, report to it and be fully controlled by it. The SHM Controller can control hundreds of such thermostats concurrently based on a central energy saving algorithm, over long distances.